Ward Committees are an effective concept for citizen engagement at the Ward level and critical to our local self-governance in the municipalities. They help in the decentralization of functions and provide better supervision for Ward governance. Composition and functions of a Ward Committee are outlined in the 74th Constitutional amendment to ensure that there is equal representation for all sections of the society. area of the Wards committee, as the Government may specify in this behalf. The Ward committee should consist of 2 members of the SCs/ST category, 3 women, 3 members from the general category and 2 representatives of registered associations working in the Ward. The Ward Councilor of the Ward is the Chairperson of the committee, and the secretary is the Assitant Revenue Officer or a designated official in that Ward. Committee meeting proceedings are outlined by the Secretary and the agenda for the monthly meeting should be shared with the members. The meeting should be held at a commonplace in the Ward, like the Ward office which can be easily accessed. The Chairperson addresses the gathering and opens the meeting. The secretary reads out the list of Ward level works that are completed, in progress and planned for the coming months. The citizens and the members present start addressing the issues they have submitted and discuss with the concerned engineer or officer in charge in the Ward. They give an update regarding all the matters and give an effective timeline for work completion. The minutes of the Ward committee meeting is entered in a Minute Book, specifying the names of the members who attended the meeting; the business transacted; the decision of the Wards committee in respect of each item of business; the date of the meeting and the time of commencement and closing of the meeting. It is signed by the Chairman after each meeting. The minutes shall be written by the ARO or an officer designated by the Corporation and shall be placed before the next meeting for confirmation. Although the concept makes it an effective means, the reality of the constitution and functioning of the Ward committees are nowhere near this. Acting after the Karnataka High Court Ordered the 198 Ward Committees were constituted. 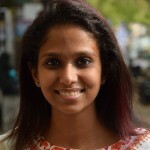 Until now, the Ward Committees even if they were functional, the process of nominating the members to the committee was not transparent and often the members were handpicked by the Corporators themselves. This defeated the purpose of creating such bodies to aid citizen engagements. Pressure has been mounted on the BBMP Commissioner by the citizens and civil society groups to act on the state of the Ward Committees, to resolve the ambiguity around the rules. 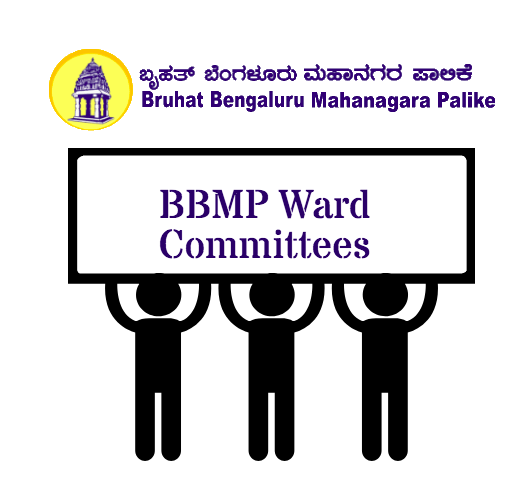 Recently the BBMP Commissioner sent out an order that said that the Ward Committee meetings have been fixed for the first Saturday of every month to avoid confusion for the residents on when the meetings are held. The residents can make a representation at the meeting and have the option of directly asking the relevant department officers or the Corporator and raise the grievances. Few Wards conducted their Ward Committee meetings in the last few months, but there are quite a few Wards that are still left out. The continued pressure on BBMP and the local Corporators will help in ensuring the meetings are held regularly and the citizens of the Ward have a platform to communicate and get information about the developmental works.